Devices to solve difficult clinical problems. Hand Biomechanics Lab is committed to the analysis and solution of difficult patient problems with the hope and faith that our work will extend to improve the quality of patient care everywhere. At Hand Biomechanics Lab we believe the best approach for developing new technology occurs from a partnership between surgeons and bioengineers. While the surgeon is generally the first to understand the need for, and the design concept of, a new technology, it is the bioengineer who refines those concepts and builds a prototype for trial in the lab. Following successful uses and modification in the lab environment, the product moves to manufacturing and begins the regulatory process. 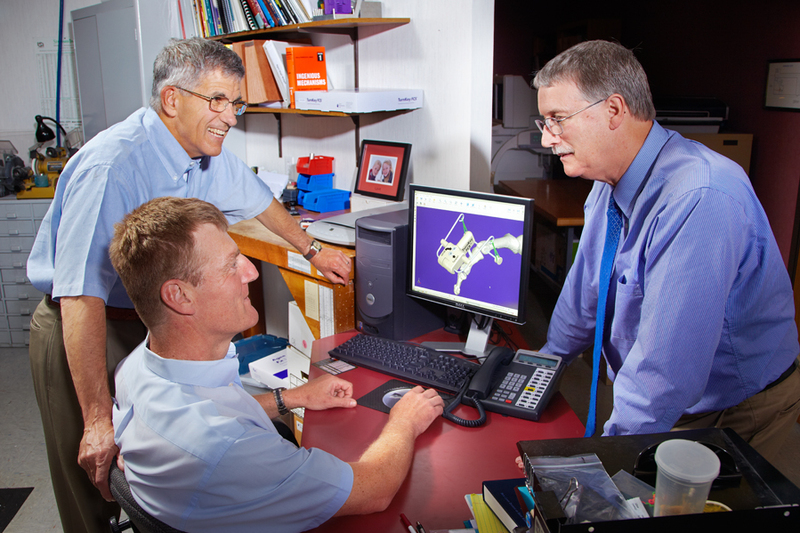 Since 1979, Hand Biomechanics Lab has benefited from the synergy between the surgeon and bioengineer. We have created an environment that not only understands but also solves critical wrist and hand issues. Dr. Agee has carefully assembled a team specializing in the medical, engineering and business fields who work to develop new technology, always with the patient’s best interest in mind.